The Supreme Court delivered a blow to universal birth control coverage on Monday, ruling that closely-held corporations can refuse to cover contraception in their health plans for religious reasons. But Justice Ruth Bader Ginsburg sharply disagreed with the five conservatives on the court, delivering a scathing, 35-page dissent and defense of mandatory contraception coverage. The sharply divided justices ruled in Burwell v. Hobby Lobby Stores and Conestoga Wood Specialties v. Burwell that the provision in the Affordable Care Act that requires for-profit companies to cover contraception in their health plans imposes a substantial burden on their ability to exercise religious freedom. The Greens, a Christian family that owns Hobby Lobby, and the Hahns, a Mennonite family that owns Conestoga Wood Specialties, believe that certain kinds of birth control are akin to abortion. The five conservative-leaning justices on the court sided with the religious companies and ruled that the government has to exempt them and other closely held corporations from having to include birth control coverage in their plans. The three remaining liberal-leaning justices, Sonia Sotomayor, Elena Kagan and Stephen Breyer, partially joined Ginsburg in her dissent. The burden of paying out of pocket for contraception has now unfairly shifted to women whose bosses’ religious beliefs conflict with their own, Ginsburg said. An intrauterine device, a very reliable form of long-term contraception that is implanted into the uterus, is particularly expensive for women to have to pay for out of pocket. “It bears note in this regard that the cost of an IUD is nearly equivalent to a month’s full-time pay for workers earning the minimum wage,” she wrote. Ginsburg argued that religious corporations are not significantly burdened by having to include certain coverage in their health insurance plans. Further, Ginsburg wrote, a woman’s decision to claim birth control benefits in consultation with her doctor is in no way compelled by her employer and is not equivalent to a moral action on the part of her employer. “Should an employee of Hobby Lobby or Conestoga share the religious beliefs of the Greens and Hahns, she is of course under no compulsion to use the contraceptives in question,” Ginsburg wrote. 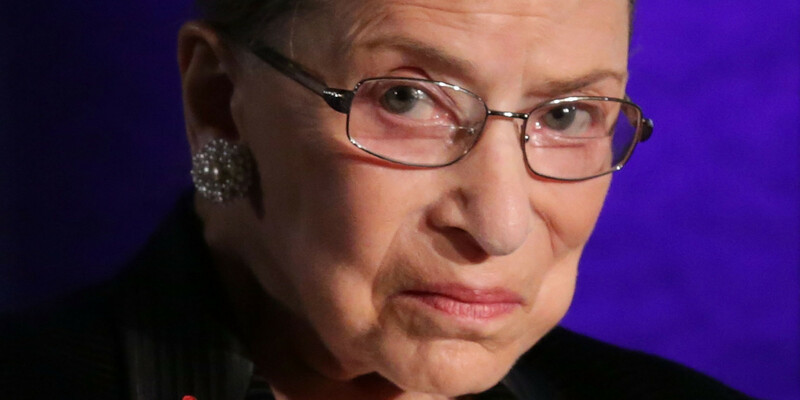 Ginsburg wrote that she believed the Religious Freedom Restoration Act had been enacted by Congress “to serve a far less radical purpose” than the court had interpreted it to.